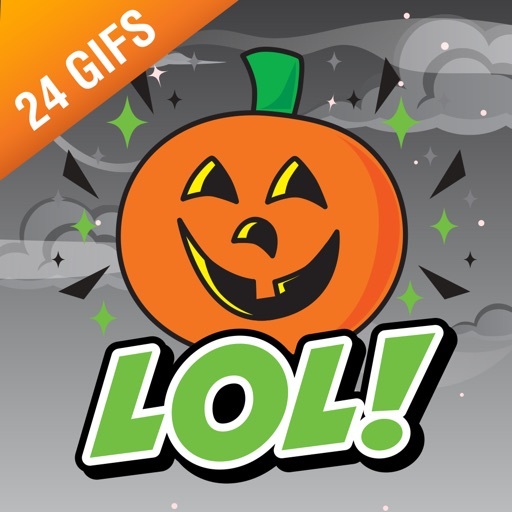 Ready for a spooky Halloween Adventure? 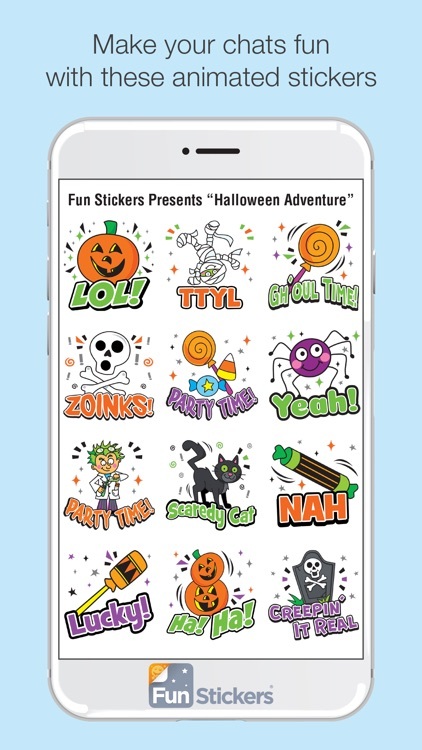 Use this sticker pack to scare your friends, or make them laugh with some hilarious halloween puns! 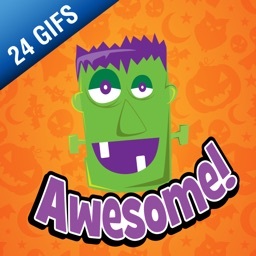 You'll love some of the advanced animations we have! 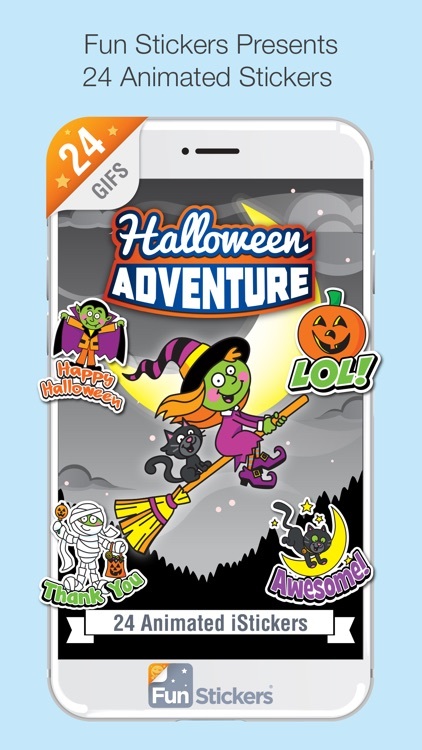 Creep it real and download the Halloween Adventure iSticker today! 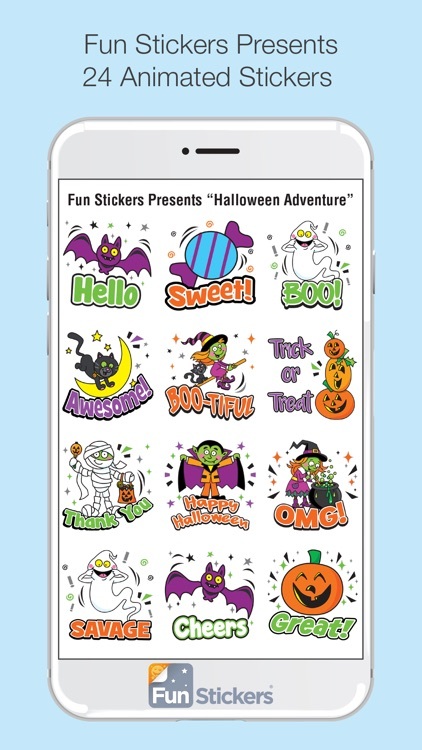 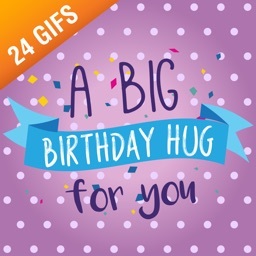 This collection of digital stickers comes in a variety of colours and facial expressions. 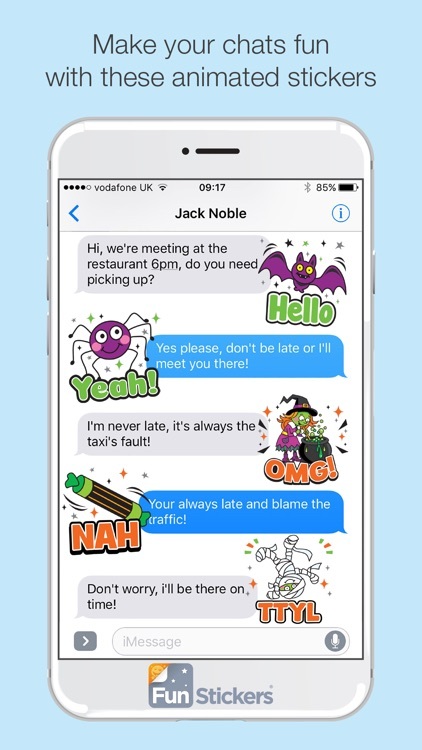 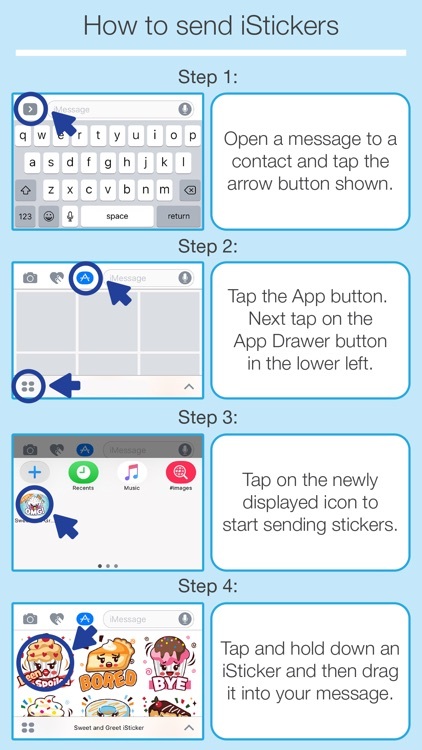 Combined with frequently used phrases such as 'LOL' and 'OMG', all you need to do is simply drag and drop them onto your text messages.